In Vagaries' Forecast, The Monsoon Trough in the North was to relent temporarily, and The Trough along the west Coast get a bit strong by today (Tuesday). The Northern trough HAS relented, and the West Coast off shore trough HAS become a bit more active. But, not in the region and areas estimated by Vagaries. The off shore trough, if you re read my forecast map of yesterday, was to have become activated and generate moderate rains in the S.Konkan/Goa region (see yesterday's Map). But, if we observe the Sat image, it has activated the coast more towards the South, concentrating on the much needed coastal Karnataka and Goa is included. S.Konkan is getting what N.Konkan should be getting, while N.Konkan is left out. More in detail tonite by 10.30pm.....I have also to put up a Aurangabad District Page tonite.. Confused and anxious Farmers, from a few Talukas in Aurangabad district, have requested Vagaries to put up the Weather forecast and current weather situation for their Talukas. Wanting to know as to when they can start sowing seeds and expected quantum of rains. For them, I have set up a special Page, which they can refer to and update themselves..
Hope it helps them and eases their problems..
Thunder Heads are seen SE and East of Mumbai..Hoping to see them develop..
All India SWM Toppers from 1st June -24th June compiled by Pradeep put up on Inter Active Page...Must See, and be Surprised !! Latest Mumbai Forecast Just put up On Mumbai Page..
Mumbai Page & Vagaries Readngs daily updated in the morning with rainfall..Panvel and Thane Updated. The Monsoon trough along N.India seems "shrunk" in today's (Sunday) MSLP charts. However, the Eastern end seems active with an embedded UAC in Eastern UP region, and a trough runs from this UAC Southwards into W Bengal region. Charts indicate the Monsoon trough re-establishing position again from Wednesday. A WD passes thru North Pakistan and Kashmir, precipitating light rains on Monday. No Further advance of SWM expected this week till Thursday at least. A weakening of the Monsoon Trough across Northern India could result in the off shore trough along the West Coast strengthening to some extent from Monday thru Wednesday. But, this could result in increased rainfall along the west coast only. Interior Mah, Karnataka, AP and TN will be practically devoid of rainfall this week. No meaningfull rains. SWM rains increasing from Monday evening thru Wednesday along the West Coast. Central regions of heaviest rains (over 100 mms/day) will be South Konkan/Goa regions, followed by Coastal Karnataka with around 70-100mm/day, and North Konkan stations will vary from 30-60 mms/day. 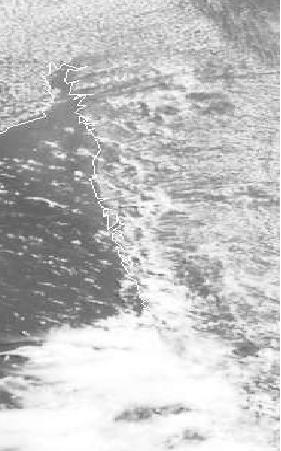 Rainfall will be restricted along the West coast to the Monsoon upper limit, that is below 20N. 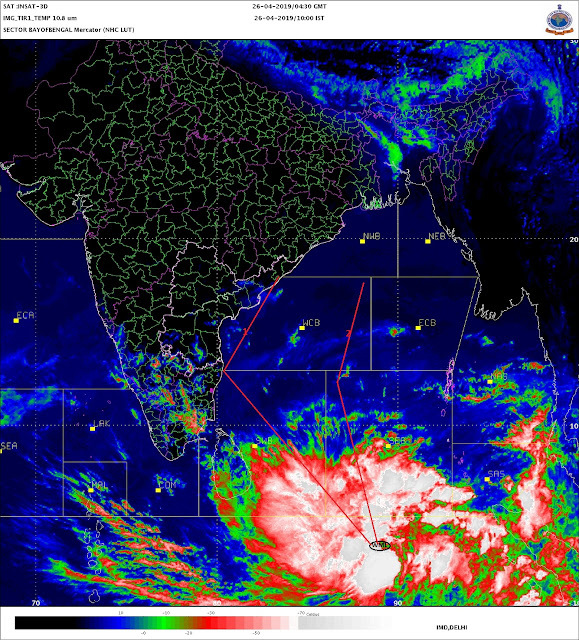 Rest of interior Peninsula will not get any meaningfull increase in rains, almost dry. (5-10mms in pockets). Decrease in rains in W Bengal from Monday thru Thursday. 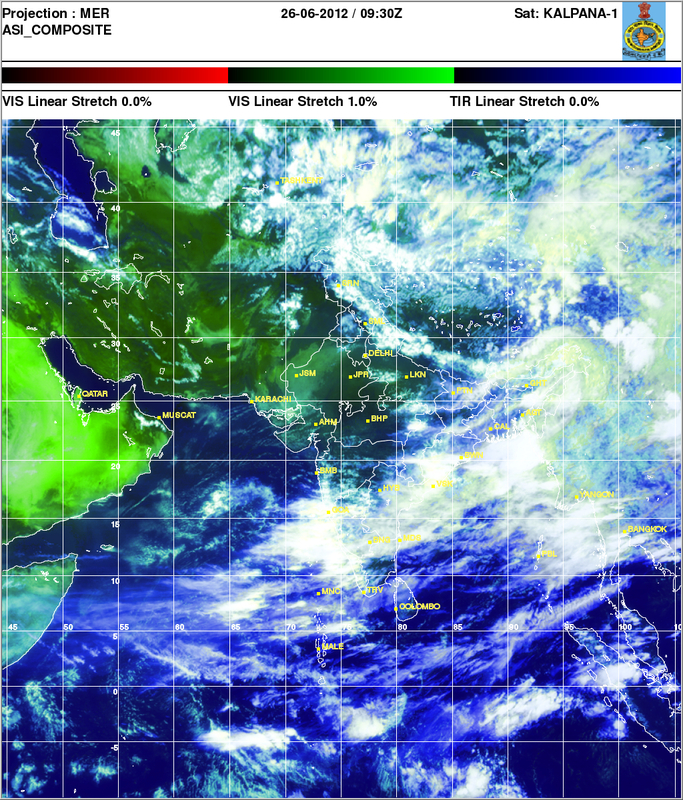 Coastal Gujarat can get some light rain, not much to cheer about in Saurashtra and Gujarat region. Off shore trough can get weak again fom Wednesday 27th. MJO shows no signs of leaving weak phase in our seas till 1st July at least. Mumbai Forecast for Monday 25th/Tuesday 26th/Wednesday 27th: Same as that put up on Mumbai Page Yesterday. Pune: Monday 25th/Tuesday 26th/Wednesday 27th/Thursday 28th: Partly cloudy skies. Thundery developments on Tuesday. 50% chances of light rain 95-10 mms)on Tuesday. Other days light drizzles (less than 5 mms) in some parts of Pune. Days will be 32c and 23c at night. Surat: Monday/Tuesday/Wednesday/Thursday: A nominal increase in rainfall in Surat on Tuesday, when around 5-10 mms is possible. Rest of the days will be cloudy with light rains in some parts. Thursday may see a rise in day temperature to 33c with 28c at night. Delhi: where's the rain? No rain no Monsoon progress towards Delhi till Thursday at least. Hot and "loo" blowing in the night. Days could go to 45c on Wed/Thursday with a hot night at 32/33c. Monsoon is maintained as and when it moves (on Current Weather Page). Due to the current WD passing over the Northern regions, some dust storms and rain were seen in Northern regions. Islamabad, which had no rain, but some clouding, gets some relief, from a sizzling 45c down to 42c ! The country high is also at 47c in Turbat. But for the WD, 49/50c was expected ! Sukkur however was very hot at 44c on Sunday, and no respite seen next few days, maybe 45c again. Chances of a dust storm on Monday. I don't understand why navsari receive more rainfall than Surat? Distance between these 2 cities is only 30 km. But if you compare the rainfall figures of these 2 cities there is a wide difference. Navsari receive 70-80 inches of rainfall annually while Surat receive only 50-60 inches of rainfall annually. Why is it so? Yesterday also some districts of navsari receive around 1.5-2 inches of rainfall and Surat receive only 4 mm. First of all Check the raingauges and measure jar in those two places. Rainfall measurement throught the globe is in mm. Seems alongs west coast south konkan is most volatile - to receive maximum rain. In fact Malvan region exceeds Augumbe rain, even though it started much earlier in Augumbe. Last year 2011 - Amboli is also in south konkan. Its getting a little worrying now.IMD just said this could be the worst monsoon in years. Mumbai at this rate wont even notch up 200 mm for June.Rajesh sir, any good news? today panvel is receiving light and heavy passing showers from the usual sw directn for very short period of time!!!! !the sky is partly cloudy and sun is coming out after every shower. @rajesh wen will the situation improve?? ,,,,getting very desperate!! !no rains the waterfal wich developed initially in early june has gone dry very unusual for ths tymm of year ,,lonavala lake has gone dry!! its raining like hell in the northeast!!! !that by default means a break monsoon!! :( :( :(,,,,,,,,but for how long will ths situation continue!!! @rajesh plz get the amboli rainfall figur if possible!!! Except 17th June none of the days in current Monsoon phase has seen west coast offshore trough setting over North Konkan ! It always seen running from South Konkan to North Kerala only ! Due to this, level of Dam water are going down & down and now situation of water supply is worsening for Pune, Nashik & Even for Mumbai now ! So why the off shore trough is not setting over North Konkan ? Should not be cause of worry - nature should be generous to all. 2010 monsoon all clouds over the west coast hit higher than 15degrees latitude - result karnataka, kerala went completely lack of rain, 2011 same thing happened with monsoon axis consistently over Mah/Guj/Raj-result Mumbai received 1000mm in june itself. Today we see clouds over Karnataka,south konkan- but not a single drop of rain over interior karnataka and AP. Rain eludes Bangalore - thirsty city? Any hope of rain in Bangalore - Rajesh sir? By all means south konkan can come next to cherrapunji - 2012 rainest place. Shitij: Junaid is right to some extent..Navsari is normally more prone to face vortex and Lows and even "sympathy" lows in the Arabian Sea, which pulls in moisture due to any low in the Bay. Ganesh: I gave all the good news for Tues/wed for Mumbai..still, lets hope so for Wed...overall...I still have hopes for July once the MJO phase gets strong..yes, good hopes for July 2nd week onwards..
Ron: shall put up report and facts on MJO on Thursday..read previous comment of mine to ganesh..
Barvi dam recd 120 mms till 25th Morning and 0 mms till 26th..total rain at dam site this year 375 mms. Yesterday Surat receive some light passing shower which may be equal to around 4mm.